It seemed promising and very much what I was looking for. The caveats of paying for google to manage certificates and paying for a load balancer per namespace (as is the case for ingress-linked load balancers) are both fine. It turns out that this solution has no complete documentation or examples – but it does seem to work well. The first example goes through the process of installing the controller including the mainly undocumented requirements of replacing the node pool running your nodes with one that has compute engine API admin rights (you probably don’t want to use this node pool for all your workload for security reasons) – and – creating some clusterrolebindings. It is pretty in-depth, explaining the process and some of the things that can go wrong. Example 3 goes on to a second namespace – controller and CRDs are global and don’t need any changes but a separate IP/ingress/load balancer is required. After noticing that logstash now has a http_poller plugin and the fact that Telldus Live provides a JSON API i thought getting the data into elasticsearch for graphing in Kibana would be a piece of cake. It turns it wasn’t really piece of cake but I took the time to piece together the challenges and try to package them so it will hopefully be a breeze for you assuming you already have an ELK stack set up. There are plenty of guides for setting that up so I wont go into that in this post. I then proceeded to create a docker container and docker-compose in order to easily configure and run this simple oauth web server. If you don’t care about how this solution works you can safely skip this section. Basically, once you get the data from a sensor from the Telldus API – the JSON is not formed in a way that elasticsearch can handle well, essentially all the sensor values are inside of a list of objects. Since this data structure is not easily mapped into elasticsearch’s dot-separated key structure you are stuck with sensor value data data is not possible to graph. Set up the oauth proxy using docker-compose. First, make sure you have docker-compose installed. Again, plenty of guides available for this so I wont cover it in this post. Viola! You now have a nice JSON endpoint for logstash http_poller plugin to check. 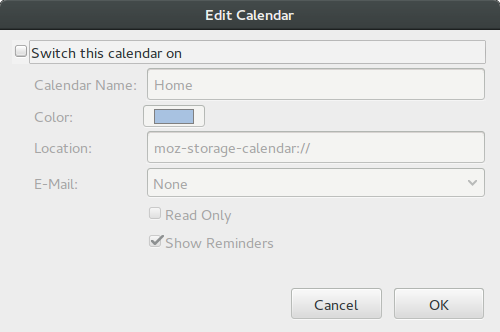 # Fix the lastupdated field so that it becomes a valid date. 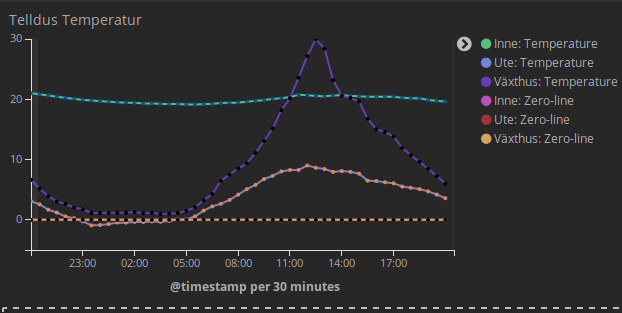 Kibana graphs are extremely useful for keeping track of server health! So why not use it to keep track of your Zimbra server? This article describes how to set up grok filters for parsing email relay (inbound, outbound, internal etc.) and spam rejection in the new and awesome postscreen which has really cleaned up spam in zimbra with the 8.7 release. This was actually what triggered me to do the work on this, I wanted to know how effective the spam processing in postscreen was. ELK stack up and running and zimbra syslog forwarded to elastic via logstash (this is where the grok magic happens). I will try to update the above as more examples comes with emails hitting my zimbra. Just in case you don’t have everything sorted with logstash parsing etc. here’s an example of how I’ve set up logstash to parse syslog and send it on to a rabbit queue. With this setup you can set up rsyslog to forward logs directly to logstash on port 10514. A quick tip if you need to send more complex objects than strings to a fabric task. Below you will find a simple python script that can be used together with crontab or manually to clear out old daily elasticsearch indices. You just need to specify the index name and how many days back (from today) that you want to remove. print "clean-old-indices.py [-h <elastic host>] <index> <days-to-keep>"
print "Example: python clean-old-indices.py -h 1.1.1.1 logstash-syslog 90"
print "Default host is: localhost"
Linux NetworkManager is a great utility that usually “just works”, yesterday I did however notice that I was not able to access an internal network while using an OpenVPN connection through NetworkManager because the domain names were not resolved as they should (my normal DNS was used instead of the DNS that the openvpn server pushes out). Finding a solution was not easy and there appears to be no way of manually overriding DNS server either. Eventually I found this bug which has been around for a couple of years and is still not solved. It will ask you for your password and then open the file so that you can put a # before the dns=dnsmasq line (this means this setting is now disabled) and click save and close the text editor. So why would you want to do this when most posts on the Internet indicate that this is security by obscurity and a bad idea. Well, first and most important, at least for me – I wan’t my wordpress admin to be protected by HTTPS encryption but SSL certificates are expensive so I don’t want to buy one for each new site I host. Secondly, while I don’t believe in relying on security by obscurity, I see no reason to make life easy for a potential attacker. This setup is tested on WordPress 3 and 4. On the wordpress server there is a blog called blog, which is publicly accessible through blog.example.com. Although I believe this setup makes sense for a lot of reasons, most of this guide will work even if you have everything on one server. If you are familiar with Apache’s mod_proxy, you may think this is as easy as forwarding a sub folder on your existing HTTPS-enabled site to a wordpress instance but unfortunately, WordPress is very sensitive to whether it is installed on a specific domain, in a subfolder etc. and trying this you will notice a lot of broken links. Also, WordPress cookies have a path that must match for the login to work. If you have domain-name based virtual hosts to have several WordPress sites on the same server, you need to pass on the proper host name of the WordPress site, blog.example.com in this case. We use mod_proxy to forward traffic to the different sites’ admin urls. We ensure ProxyPreserveHost is Off, set the internal IP of the blog in the hosts file of the proxy server, allowing us to use the domain name in the ProxyPass statement. Finally we leverage ProxyPassReverseCookiePath to fix the cookies. Let me know in the comments if you’re facing any issues with this. 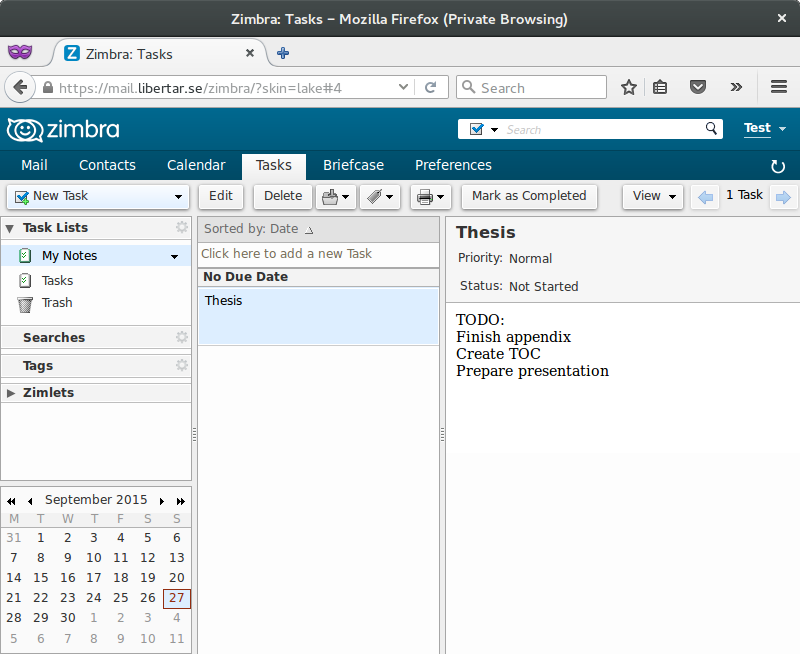 Are you using Zimbra to store your tasks or maybe just make notes online but want these to be available when you are offline as well? 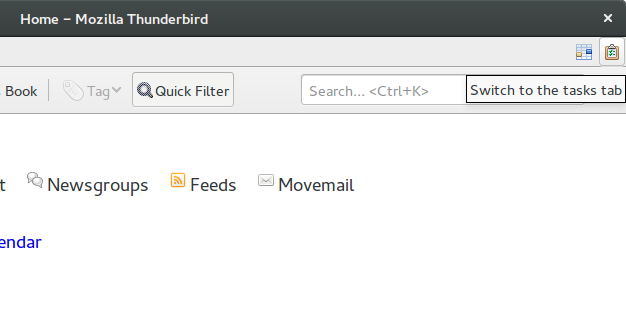 This guide describes how to set this up by using Mozilla Thunderbird on your computer. This guide was composed on Ubuntu Linux but will work on any operating system like Windows or MacOS. Note: If you are using text formatting (bold, italic, fonts etc.) – it’s important to understand that Thunderbird does not understand this format and as soon as you change a task from Thunderbird – while your text is synchronized – this formatting will be lost. 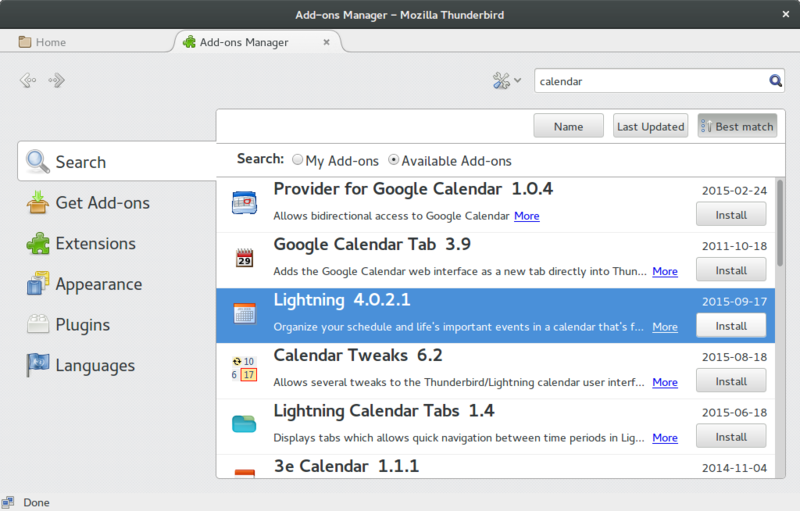 You can still view your tasks and notes offline without losing any formatting. If you are tech-savvy, these steps are probably enough to get you through the process, otherwise just follow the step by step guide below. 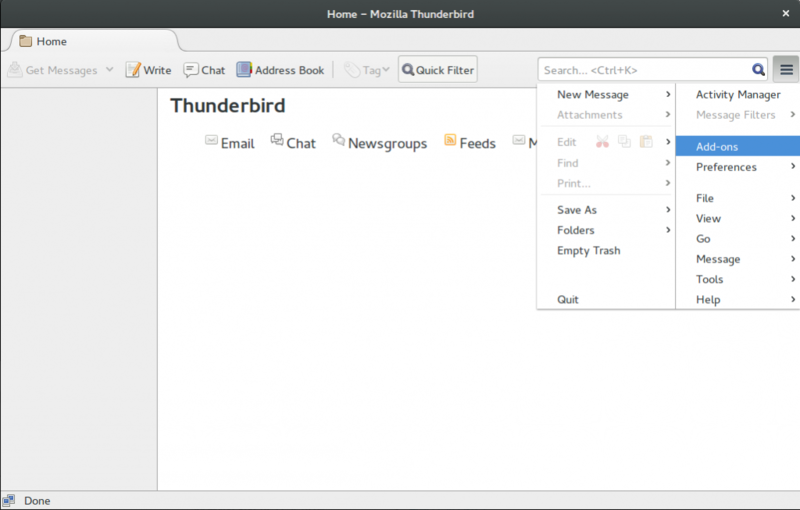 Installing Thunderbird is not part of this guide since this will depend on your operating system. On Ubuntu Linux it’s available through the Ubuntu Software Center, on non-linux platforms you probably have to download and install. After installing lightning you need to restart Thunderbird. 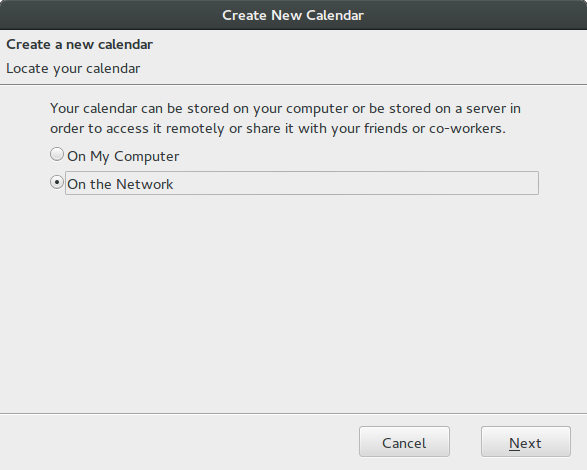 As you will notice in this guide, many steps refer to calendar instead of task lists or notes. This is because the tasks are technically part of calendar synchronization – and since this works very well – this is the standard way of synchronizing tasks as well. You need to replace the information in the “<>” with the proper values for your zimbra server. 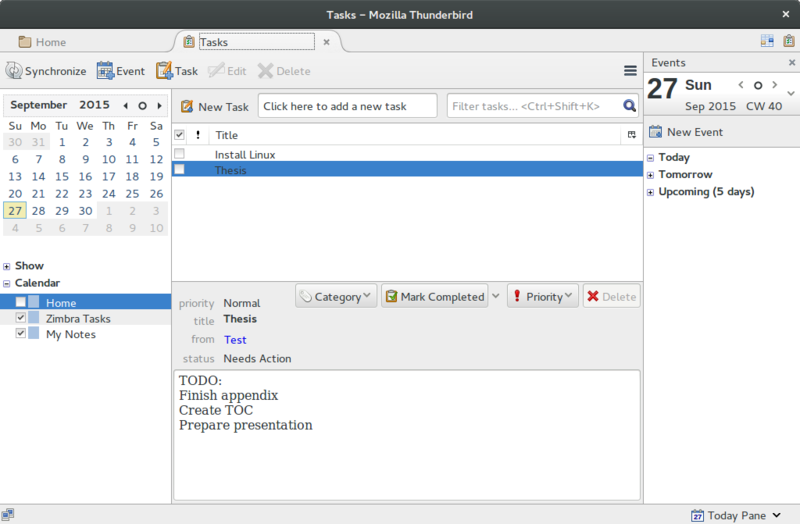 The “task-list-name” is the name you see in zimbra, Tasks and My Notes in this example. 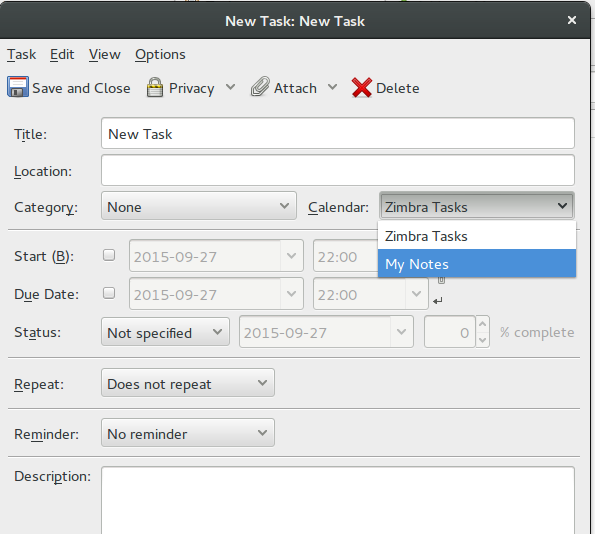 On the next step you can give the task list a name, like Zimbra Tasks or whatever you want. Then just click next and then Finish. You will be asked for your email address and password during this step. You are now ready to set up another task list or go ahead and check or update your tasks. 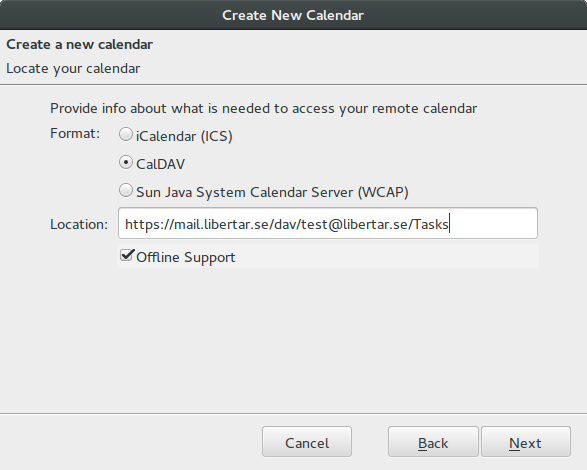 At this point you may want to disable Thunderbirds default task list “Home” if you are not using it since this will otherwise be the default “calendar” when new tasks are created – and tasks added to Home will not be synced. Creating new tasks is quite straight-forward. You click new task and then enter the details for the task. 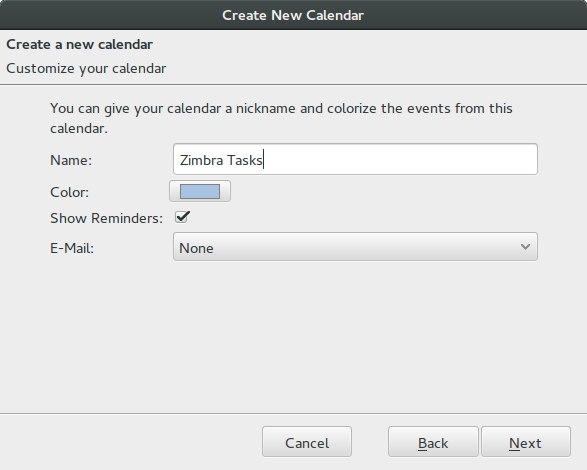 There is one very important selection though – make sure you select the proper “calendar” to add it to so that it will be synced back to zimbra properly. Even though this guide is specific to Skövde University, most of the guide most likely applies to an eduroam network on any university. This guide was tested on Ubuntu 15.04 but probably works for most Linux:es.  First of all you need to download the university’s certificate file, for skövde university you can find the certificate here. Save the ca.cer file to a place where it can be stored permanently, possibly in Document folder or wherever you prefer. Don’t delete this file! After that, fill in the login details as per the below screenshot, using your university login name and password for the last two boxes. Note: You need to change the Authentication to PEAP.